My glass journey began about twenty years ago when I signed up to take a fused glass class and I fell in love with the glass medium and the interplay of the glass itself with the lighting around it. Hooked on glasswork and this new art form, I went on to become a founding member of the Glen Echo Glass Art Consortium. Currently, my work can be found displayed in galleries and craft shows up and down the East Coast. I have taught classes that range in skill levels at Glen Echo National Park, The Workhouse at Lorton, The JCC, as an Adjunct teacher for the Corcoran, and VisArts. 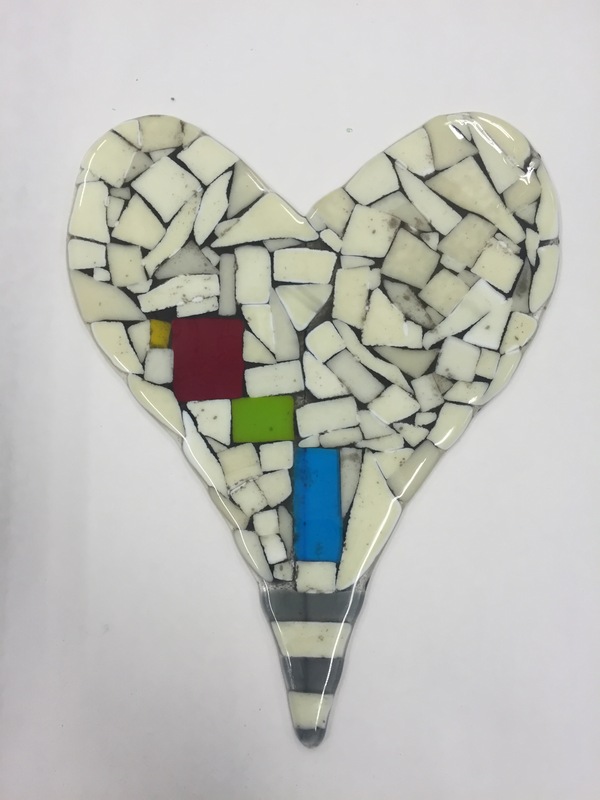 In this two hour workshop, we will create a beautiful wall heart just in time for Valentine’s Day. Students will be provided a 10” pre-cut clear glass heart shape. We will cut and decorate using glass pieces, glass frit (crushed glass) and glass stringers. After firing a metal hook will be attached to make it suitable for hanging. The perfect catch for fish lovers to hang on your wall. 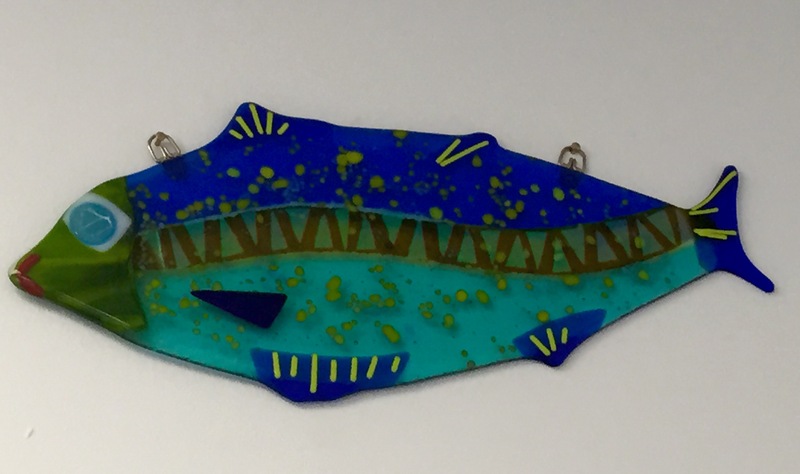 In this two hour workshop, students will be provided a 10” clear glass fish shape to decorate. We will then cut, assemble multi- colored glass pieces. Students will use stringers, pre-fired eyes and a bit of dichroic glass to make it sparkle. 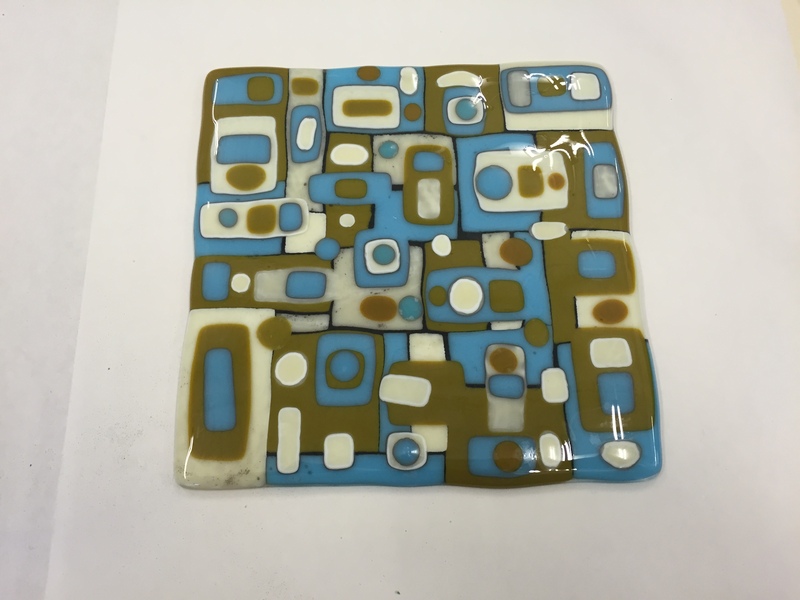 After it’s fired in the kiln the instructor will attach metal hooks to make it suitable for hanging. In this two hour workshop, we will create a wonderful, colorful 8 x8” plate. Each student will be provided a piece 8” clear glass. We will then decide our color scheme (including reactive glass techniques) and cut and assemble layers of glass squares and rectangles. The plate will then be fused and slumped in the kiln. 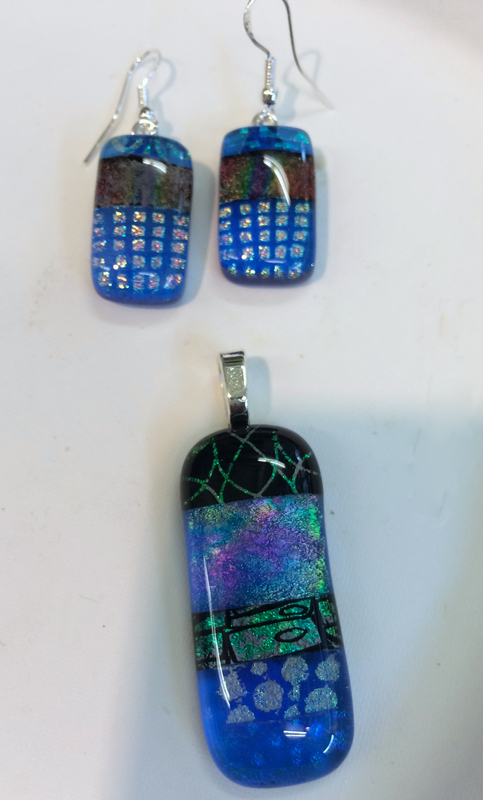 Always wanted to make beautiful dichroic glass jewelry then this 2 hour workshop is for you!! We will create a beautiful pendant and earrings using our fabulous assortment of patterned dichroic glass. Students will learn to cut, assemble and fire their pieces. The instructor will attach the appropriate findings for your finished pieces.